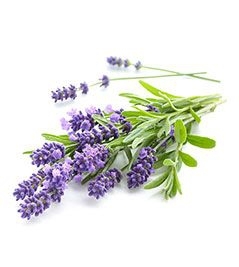 The body lotion Lavender Essence was created using lavender essential oil, known for its soothing and relaxing properties. Perfect for normal to dry skins, this lotion moisturizes and softens while leaving a delicate scent. Let yourself be swept away to the heart of Provence with this soft fragrance that marries the relaxing aroma of lavender with the warm accents of tonka bean. A fragrant escape woven around a unique blend of essential oils. AQUA/WATER/EAU, GLYCERIN, CAPRYLIC/CAPRIC TRIGLYCERIDE, DIPROPYLENE GLYCOL, DICAPRYLYL ETHER, BUTYLENE GLYCOL, CIRE D'ABEILLE/BEESWAX, BUTYROSPERMUM PARKII (SHEA) BUTTER, CETEARYL ALCOHOL, GLYCERYL STEARATE, PANTHENOL, CERAMIDE NP, SODIUM HYALURONATE, C14-22 ALCOHOLS, ZEA MAYS (CORN) STARCH, BETAINE, CAPRYLYL GLYCOL, PEG-100 STEARATE, DIMETHICONE, C12-20 ALKYL GLUCOSIDE, SERINE, XANTHAN GUM, TRISODIUM EDTA, ALLANTOIN, ONSEN-SUI, PRUNUS AMYGDALUS DULCIS (SWEET ALMOND) OIL, TOCOPHEROL, CITRUS AURANTIFOLIA (LIME) OIL, CITRUS AURANTIUM BERGAMIA (BERGAMOT) FRUIT OIL, ALCOHOL, LAVANDULA ANGUSTIFOLIA (LAVENDER) OIL, BORAGO OFFICINALIS SEED OIL, CALENDULA OFFICINALIS FLOWER OIL, CHAMOMILLA RECUTITA (MATRICARIA) FLOWER OIL, ROSE FLOWER OIL, ROSMARINUS OFFICINALIS (ROSEMARY) LEAF OIL, SANTALUM ALBUM (SANDALWOOD) OIL, COIX LACRYMA-JOBI MA-YUEN SEED EXTRACT, CARBOMER, TROMETHAMINE, PARFUM/FRAGRANCE.